Embrace those winter grays with this lovely chunky yarn cowl. 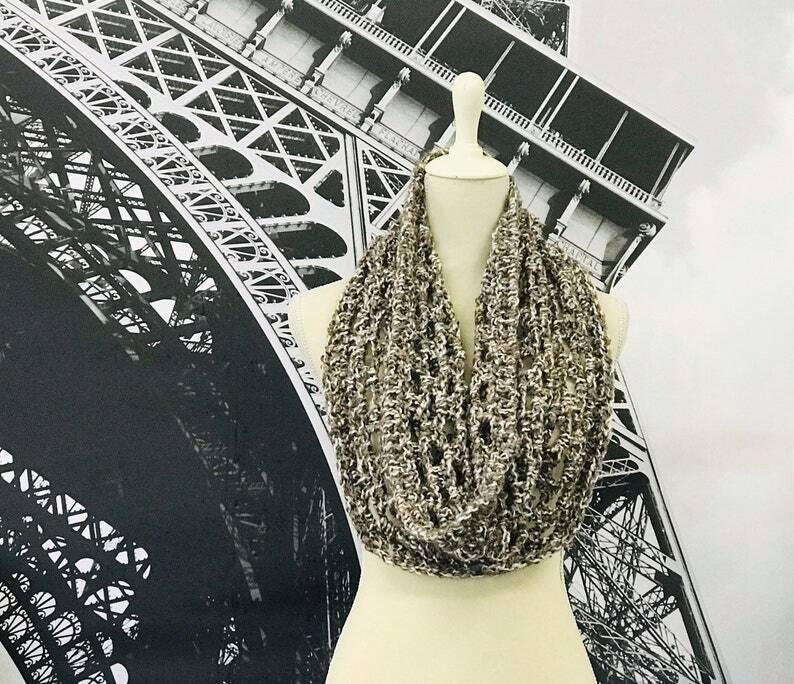 It’s made of a soft acrylic boucle yarn heathered with warm cocoa brown, grey and cream. A perfect accent to any outfit and machine washable (tumble dry low or dry flat). This cowl converts easily to a hooded snood. The overall dimensions are approximately 36”-38” in diameter and 12”-14”h.